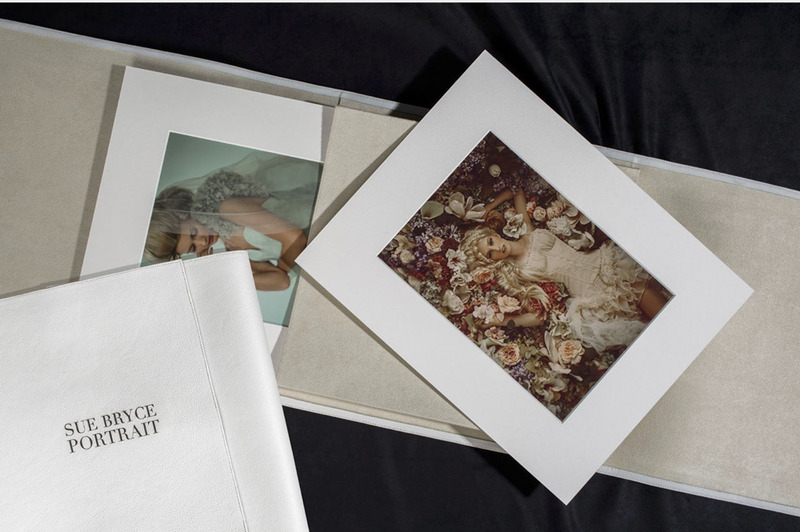 All of the folio boxes (and vintage album) we offer are handcrafted in Italy...because of this, there is a 4-6 week wait-time. They are designed to be heirlooms for you and yours. 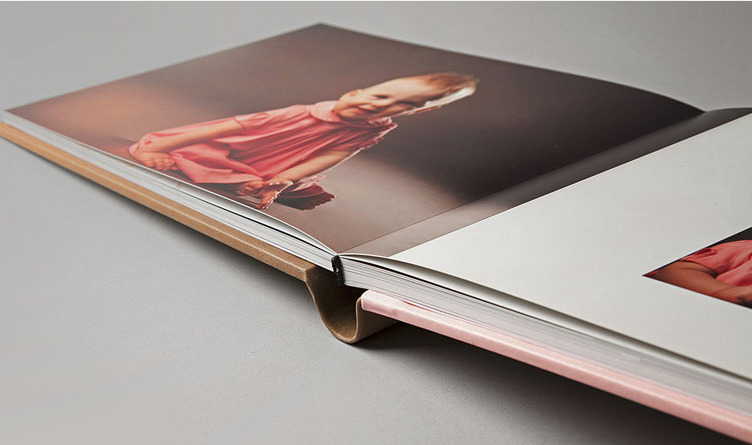 As a print studio, we print all images up to 13x19 in house. This allows us to control image quality, color, and materials. Larger images are printed by an outside company. 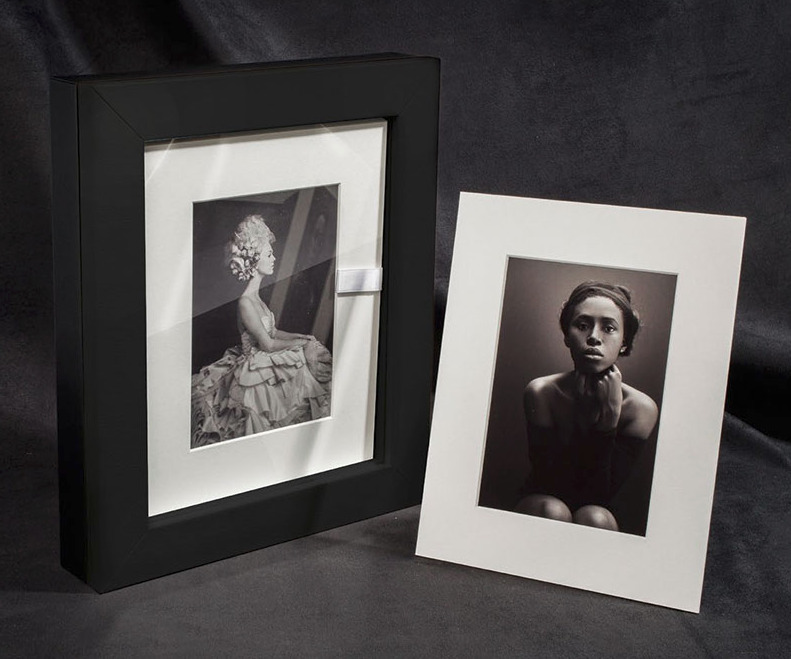 All of our Folio Boxes come with images that have been matted with 100% cotton, archival quality mats. 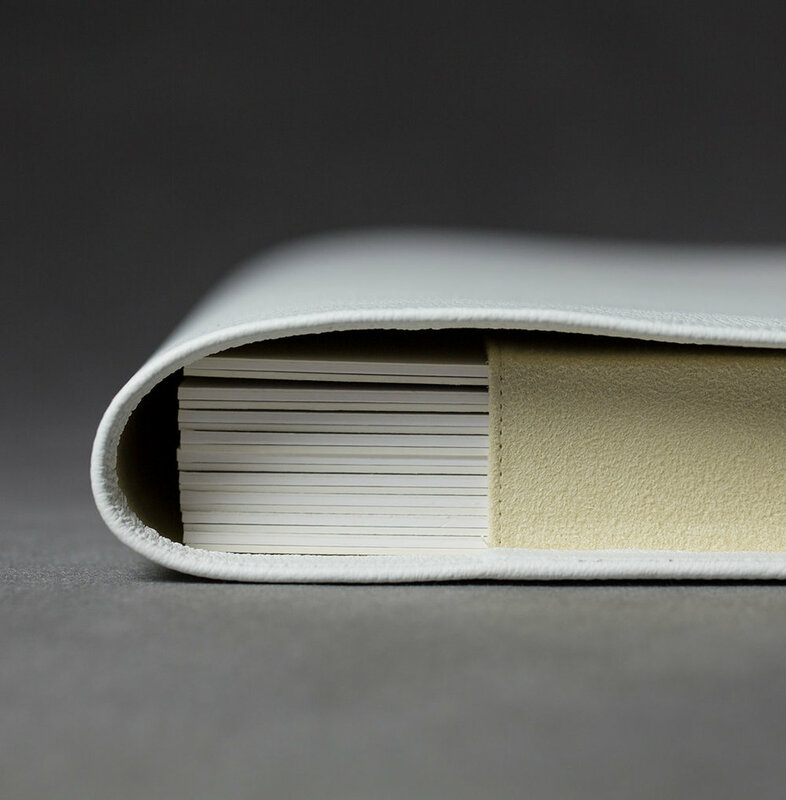 Leather Folio Box - our most popular box. Switch out top image at will to have a "new" box at any time. 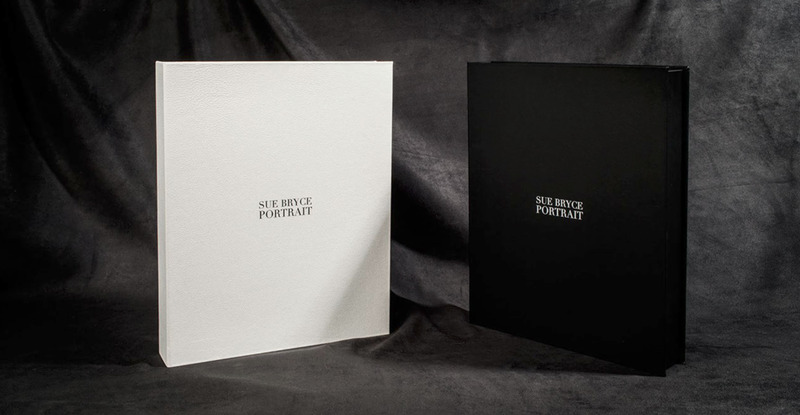 We offer the Leather Folio Box in black.